I have been banging on about deficiencies in the borough’s plans for some time. To push some more I have written a brief paper that I hope to get onto the agenda for the next CLG. 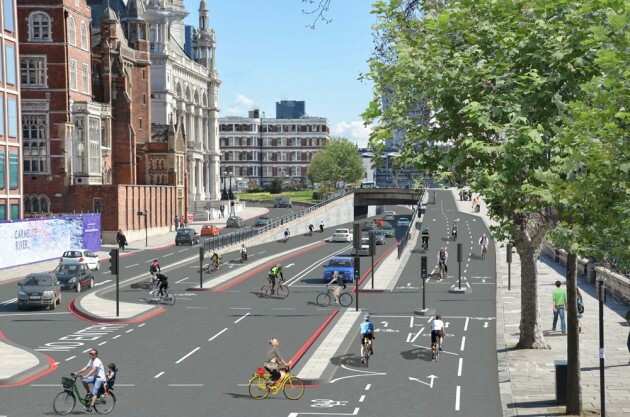 What I have tried to produce is the draft for a system that would provide safe , reasonably direct, routes for all bike users 8-80+ across the borough and into adjacent boroughs at least during daylight hours and that is realistically achievable. The Times reported that despite the fact that David Cameron has confirmed that he is “huge cycling fan” and says that he wants to “go further” and “realise our ambition to make the UK a true cycling nation,” echoing the calls he made in 2013 for a “cycling revolution.” the November Spending Review seems to spell an end for cycling infrastructure spending. It would be useful if Tania and Zac were in receipt of more variants. cycling is due to be cut in the November spending review . the choice to move about without relying on a car. wouldn’t be a key part of infrastructure investment in the UK. 20 really is plenty in Richmond. Tonight there’s a call-in of the council’s arbitrary approach to 20mph limits in the borough. The local branch of 20’s Plenty has put together this excellent paper, supporting their submission. If you want to attend, it’s an open meeting – all the details are here. We thank the London Borough of Richmond Call In sub-committee for allowing 20’s Plenty for Richmond to speak to and submit comments about the Borough’s approach to 20mph speed limits. Where appropriate we have referenced the relevant paragraphs of the 9th October 2014 report to Cabinet entitled “Review of the Borough’s approach to 20mph Speed Limits”. We are disappointed by the negative approach to 20mph speed limits being taken by those seeking to introduce the policy outlined in the report to Cabinet dated 9th October. We believe that by setting up a procedure that imposes almost insurmountable hurdles to the introduction of 20mph speed limits (Para 3.15 Cabinet report) LB Richmond is at odds with the direction of Government and Mayoral policy and fails to support all those in LB Richmond who are trying to promote walking and cycling. We believe that this is a public health issue and not just a road safety issue. Public health deals with avoidable deaths and injuries and slowing traffic by introducing 20mph speed limits has been shown to make a positive contribution. It seems that LB Richmond recognises this, but, by not consulting its own Public Health Department about this issue, has distanced itself from its public health responsibilities. In no other area of public health are 51% of residents required to endorse a policy. This procedure assumes that only people who live on a street use that street but streets are public spaces not private property and are used by many other people. It is widely acknowledged that 20mph speed limits can reduce road casualties and improve public health, including obesity levels, by increasing the numbers walking and cycling, especially those who are more vulnerable such as older people, children and those with disabilities. They can also improve social cohesion and wellbeing by encouraging more people to be active outside in their community and improve the local economy as more pedestrians walk to and shop at their local shops and high streets. They are not a silver bullet on their own but, over time, they are a means of creating a fairer balance between motor vehicles and people and encouraging greater activity levels. We would thus encourage LB Richmond to review the obstacles it is seeking to put in the way of the introduction of 20mph speed limits and be more open to their introduction because of the many benefits that they bring. To highlight some further benefits that could result from introducing area-wide 20mph zones in LB Richmond. 72% support a 20mph speed limit in busy (eg shopping) streets. Recent research by Edinburgh City Council confirmed previous studies that support for 20mph limits increases after their introduction. In its research into the South Central Edinburgh’s 20mph limit trial found that support for 20mph rose from 68% before they were introduced to 79% after they were implemented. 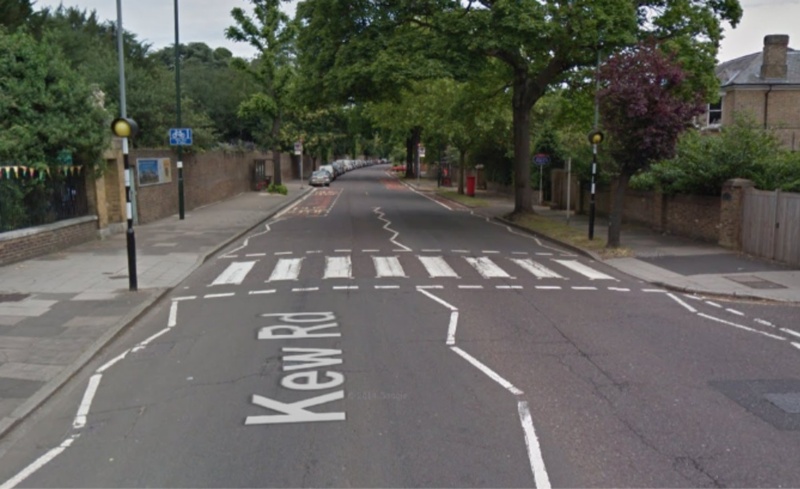 We remain perplexed at the conclusions that LB Richmond has drawn from the consultation that occurred into 20mph limits in Kew, Whitton and Hampton Hill. We understand the clear desire of residents not to see the introduction of a borough-wide 20mph limit and the overall lack of majority support for a 20mph speed limit in Whitton. 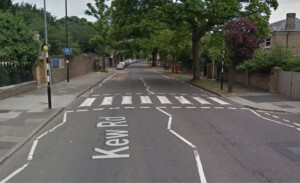 Given, however, the fact that the principle of identifying candidate areas for 20mph limits was established in this consultation and the proposal for a 20mph limit on Hampton Hill High Street is to be taken forward on the basis of the results, it is not clear why the proposal for Kew has been rejected when levels of support for a 20mph zone were higher in Kew (at 56%) than in Hampton Hill High St (51%). In addition, it appears strange that Para 3.11 uses the results of the question concerning whether the 20mph limit should include residential and or main roads to reject the support identified in the “20mph in my area question”. 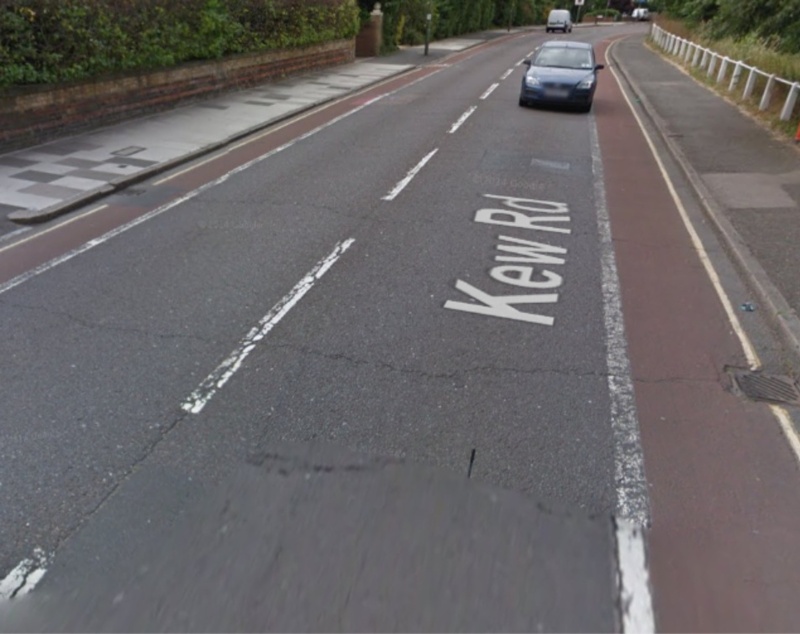 As a total of 43% of Kew residents stated that the 20mph limit should apply on only residential roads and a further 26% that it should apply on both residential roads and main roads. Therefore a combined total of 69% appear to support a 20mph limit at least on residential roads. 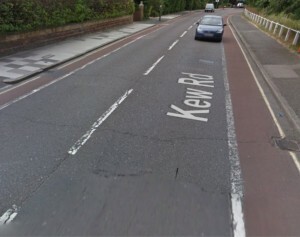 Given that this process of consultation has been used to endorse the adoption of a 20mph limit on Hampton Hill High Street, it appears illogical that in spite of these high levels of support for 20mph in Kew as an area and on all of its residential roads, the process is then rejected owing to the low level response namely “Furthermore approximately 73% of Kew residents did not respond to the survey at all”. a) Casualty Reduction. (Para 3.1) Whilst it is true that lower speeds reduce the severity of road casualties, it is also the case that they reduce the numbers too. Research by the London School of Hygiene & Tropical Medicine into the impact of 300+ 20mph schemes across London over a 20 year period found that when speeds were reduced to a maximum of 20mph (principally in these studies through traffic calming) casualty numbers fell by 42% (over and above the rate of the background decline in road casualty levels). most recently in Brighton & Hove where initial indications (in the year following implementation) show a 17% decline in all casualties and a 20% decline in the numbers killed and seriously injured in the year following the introduction of area-wide 20mph limits (compared to the 3 year average for 2010 to 2012). In Islington, in the year following the introduction of the 20mph borough-wide speed limit (January 2013), there was a 42% reduction in the numbers of people killed and seriously injured on its roads. This compares to a 23% reduction across London for 2013. It is important to state, however, that percentage reductions in casualties in a number of other London boroughs were greater. In terms of casualties of all severities, there was a decline of 1% in Islington compared to a 6% fall across London. In terms of vehicle speeds, the impact of the introduction of the 20mph limit in Islington was mixed with average speeds falling on 18 of the 29 main roads researched and rising on 10 of them. Overall it is estimated that average speeds across the borough fell by 1mph. It is important to note that this occurred without any significant enforcement support from the Metropolitan Police. Both in Islington and across London this picture of a lack of support for enforcement of 20mph limits is changing (see below). b) Enforcement. While we agree that the environment for the enforcement of 20mph limits has not been strong in the recent past (Para 3.2) and that compliance with 20mph limits should not solely be about enforcement, the picture on enforcement is changing with the Metropolitan Police becoming far more willing to enforce 20mph limits. Changes in ACPO Guidance. It is now the policy of the police to enforce 20mph limits following the change of guidance from ACPO in October 2013. Enforcement of 20mph limits is now occurring in London and FPNs are being issued to speeding drivers. The creation of the new Roads & Transport Policing Command. The Metropolitan Police has set up a 2,300 officer strong Road & Transport Policing Command which will become operational from 1st December 2014. At the Road Danger Reduction & Enforcement Conference of 1st November 2014, Sergeant Simon Castle confirmed Metropolitan Police support for enforcement of 20mph limits. A contributory factor to this change in approach has been the perceived success of Operation Safeway and the clear impact that enforcement had on dangerous behaviour on London’s roads. Local Enforcement. Ward panels have the capacity to set policing priorities and enforcement of speed limits can be set as a priority. Community Speed Watch. Members of the community can now play a role in encouraging compliance with speed limits through Community Speed Watch. We are concerned that the statement in the Cabinet report (Para 3.2) “Guidance from the Department for Transport states that 20 mph speed limits should only be considered for streets where average speeds are already below 24mph” is an extremely skewed interpretation of Paragraph 95 of the DfT Setting Local Speed Limits Circular of 2013 and adds to the impression that the Cabinet report has not sought to be objective in relation to 20mph limits. We feel that stating this alone masks the support that the Department for Transport (DfT) and Transport for London (TfL) and the Greater London Authority (GLA) have sought to give to 20mph speed limits over the past 2 years. 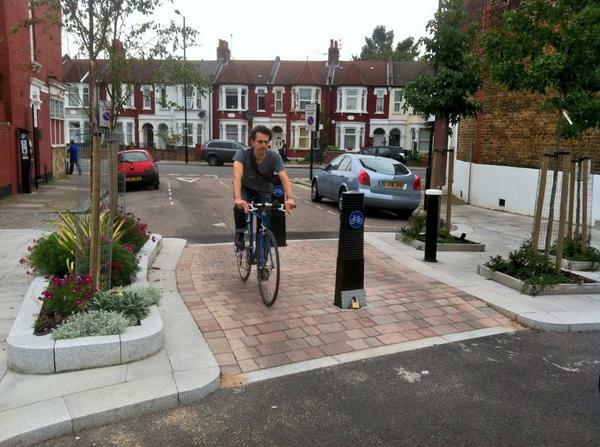 Residential streets in cities, towns and villages, particularly where the streets are being used by people on foot and on bicycles, there is community support, and the characteristics of the street are suitable. 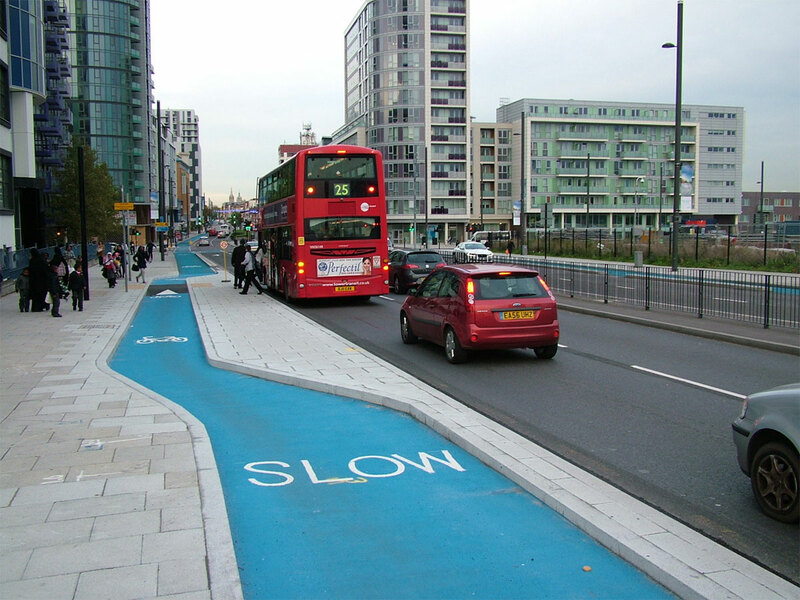 The TfL/GLA Safer Streets for London Road Safety Action Plan (up to 2020) from June 2013 strongly supported the creation of more 20mph zones in London. The Mayor of London Vision from Cycling from March 2013 called for wider use of 20mph on the TLRN and the installation of 20mph zones and speed limits on borough roads owing to the “clear evidence that traffic travelling at speeds of 20mph improves the safety of both cyclists and pedestrians”. 20mph speed limits also help local authorities to meet the terms of the 2010 Equalities Act and its aim to protect people from “unfair treatment and to create a more equal society”. They can help ensure that access to services is more easily achieved for those with disabilities and those who are vulnerable, for example through their age, through a fairer balance between those on foot and those in motor vehicles. We believe that these policies at a national and London governmental level give a strong foundation for the introduction of 20mph limits on residential roads and appropriate main roads in Richmond. These policies envisage an area-wide approach and appear at odds with LB Richmond’s street-by-street approach. The Cabinet report admits that introducing 20mph on individual streets is more confusing and more costly than area wide limits, but then continues to recommend it. 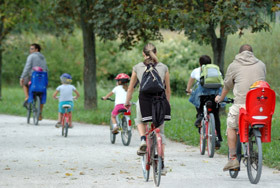 Obesity – promotion of walking and cycling is vital to address levels of obesity. Obesity, although lower than other parts of London, is remains high in LB Richmond and is a serious public health concern, according to the Council’s own Public Health reports. It is estimated that 14.3% of adults and 12% of 11 year old children in LB Richmond are obese, with levels of child obesity doubling between age 4 and age 11 and a further 14% of children considered to be overweight by age 11. No local figures are available for overweight adults but the national figure is a staggering 61.9%. The Edinburgh 20mph trial found that those considering cycling to be unsafe fell from 26% to 18%, the proportion of older primary age children cycling to school rose from 3% to 22%. Overall walking trips rose 7%, cycling trips rose 5% and car trips fell 3%. Keeping Older and Disabled People Active – LB Richmond has an ageing population with 13.5% of people over 65 (2011 census) and a significant predicted increase in the 75+ age group over the next 5-10 years. Keeping these people active through providing an environment where they feel they can walk and cycle safely is also vital to keeping this group of residents healthy. Disabled people are more likely to be obese and are thus also in need of opportunities to walk and cycle safely. Air Quality – remains a key local issue with pollution levels continuing to exceed the recommended standards. Driving at slower speeds generally decreases emissions. Community cohesion – people spending more time outside. The Edinburgh 20mph trial found that the proportion of children allowed to play on the pavement or street rose from 31% to 66%. 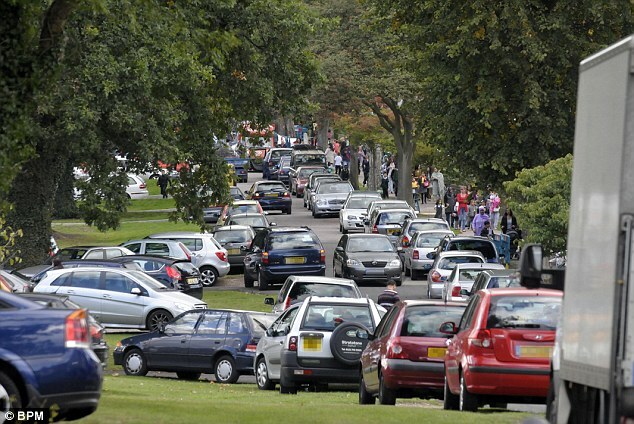 as well as the demand from local people, take into account the road safety, public health and community cohesion benefits as well as the boost that higher levels of pedestrian activity can give to local economies when considering introducing 20mph in zones and limits. New broom. New faces. New wheels. New feel … new Cycling Liaison Group? What a breath of fresh air was the recent Cycling Liaison Group! The change at the top – with a new Cycling Champion (Councillor Jean Loveland), and a new Cabinet Member for Transport (Cllr Stephen Speak) gave the whole meeting a very different feeling indeed. You may remember from earlier reports that going to the Cycling Liaison Group has been less than a pleasant experience, these last four years. Rather than weeping into our coffee hearing how nothing has been done, nothing is going to be done, and the council has only been prepared to spend money on a few pots of paint, we appear to have a sea-change (step-change? maybe ‘gear change’) at the top of transport. Also, Richmond has received £100,000 from TfL to investigate ‘various aspects’ of our Mini Holland bid. Sadly this will apparently be spent on looking at the railside cycle routes, which we think were the weakest part of the final bid. Not only would they require extensive linking up with routes down which people actually want to travel, but they ignore the fact that we already know where people want to go – it seems less than desirable to build an entirely new parallel set of routes which could require costly and lengthy negotiations with dozens of land owners, when the roads and cycle routes we already have provide clear links between key destinations. There was good news from local police, with a significant fall in cycle theft – down 27% on last year apparently. But there was also clear input from officers that they felt they were getting a hard time at local Police Liaison Groups about cycling on the pavement, red light jumping, etc., etc. 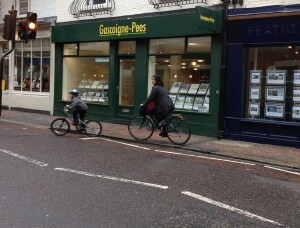 To be clear, Richmond Cycling Campaign does not endorse anyone breaking the law when using a cycle. However, it’s clear that Richmond has a lot of cycling on the pavement either because routes aren’t clear, or because they’re unsafe. 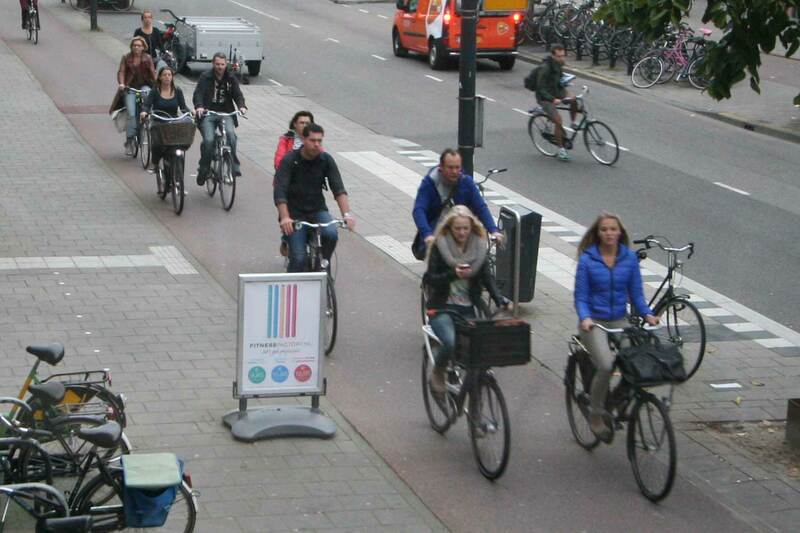 Here’s the view of one group dedicated to improving cycling, and we’ll be trying to write something soon, too. The key thing for readers to note is that there’s going to be a marked increase in enforcement activity with, apparently, a ‘zero tolerance’ approach to running red lights. We’re told that this will apply both to cycles and motor vehicles, and that they will also be policing cycling on the pavement ‘on a case by case basis’. We think cycling needs to be better represented at Police Liaison Groups, and we urge all members to do this – we’ll try to do a post in the next few weeks on how best to approach this, but do email us (info@richmondlcc.co.uk or http://www.richmondlcc.co.uk/contact-us/) if you’d like some advice. So what next? We’ll be keeping up the pressure: the recent incidents in our area, along with yet another fatality in central London, show that cycling needs somewhere safe, and needs to be part of a wider strategy. Help us ask for Russell School to be the best of the best! Another school in the borough is up for expansion, and goes to planning soon. We don’t think the council does enough to support schools to get children walking and cycling to school, so this Friday we’re doing a petition at the Russell School in Ham. The Russell is potentially moving to two form entry – another 120 children when it’s full – and is being extensively remodeled to support this, including the sale of up to 17% of the school’s land. We think that what the council has done at two other schools recently to support additional children shows clearly just how little they’re really prepared to do to support active travel. For example, the Vineyard School has recently started its build to add an additional form of entry, bringing it to a peak of over 600 children and dozens of staff. When the school appeared in front of the planning committee, their key concern was around the effects that school drop off will have on traffic in the area, and they therefore required school staff to spend valuable time supervising drop-offs and pick-ups. 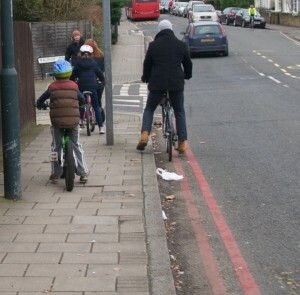 And more recently at Stanley School – also significantly expanded – the council removed the cycle lane altogether, forcing children to walk and cycle in the same small space at peak times. 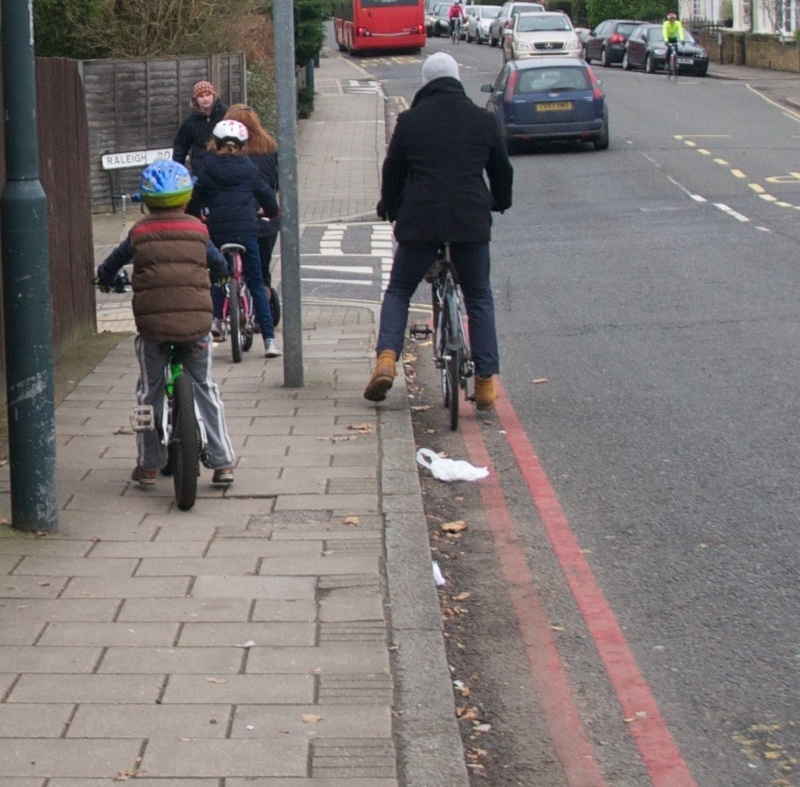 Whilst the old cycle lane at Stanley might have been less than ideal, it didn’t create conflict by having children cycle past buggies and families. When schools do expansion, the council seems not to think about how it might improve the environment around the schools to make active travel a nicer option. We think that council officials need to see this all a bit more holistically: when you’re re-modelling the school, you should think carefully about how to make the school an easy place to get to, and what needs to be done to the environment around the school. A school has a huge part to play in trying to persuade children and families to choose options like walking and cycling. But we can’t ask primary staff to encourage cycling to school when that means asking children to share busy roads with large vehicles. It isn’t the school’s responsibility to design its own roads and transport! So in Friday we’re going to be asking current parents at Russell School to sign a petition to Richmond Council to make sure that the new school site is a great place to walk to and to cycle to, and not just build yet another school site that people only cycle to because they’re prepared to try to shepherd their loved ones on a busy road. We amended this article on September 26th to include corrected details on how the school is changing. On Friday, Darren Johnson is coming to Richmond to see what cycling is like here, so we’ve put together an open letter to him about using a bicycle in our borough. Welcome to Richmond. Ours is a borough of extensive green spaces – like the marvellous Richmond Park – and we straddle the river Thames. But despite the green spaces, the busy town centres, and the significant growth in primary school numbers, we’re still a borough who don’t really like to encourage cycling by providing somewhere safe to do so. Richmond Council will tell you that the A316 is part of the ‘Transport for London Road Network’ (TLRN) and is therefore not something that can be sorted out by borough engineers. 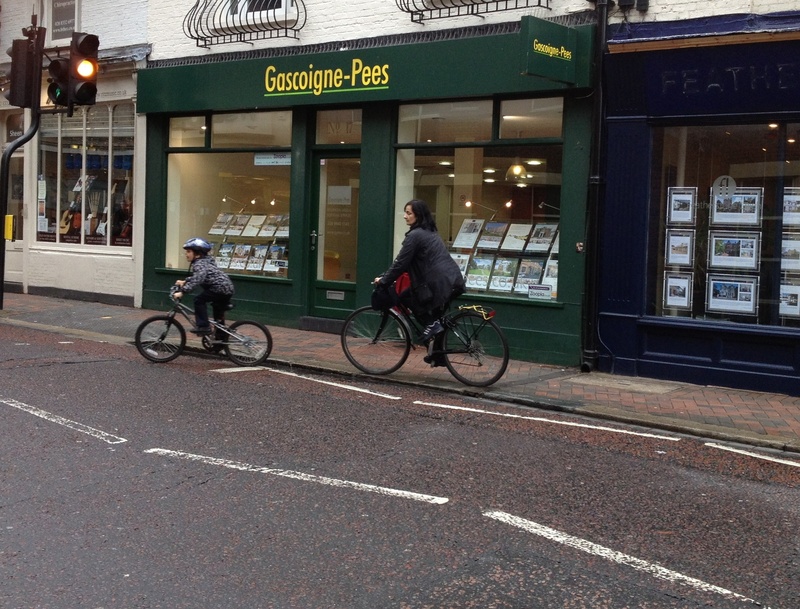 If they say that, you could always ask them why Mini-Holland bid money was spent on the A316 rather than – for example – making the two lane highway through the centre of Richmond a nice place for families to arrive by bike. You could also ask them why the last time they did anything for cycling, it involved a big pot of Dulux and a ruler, and the statement that “There are many examples where advisory cycle lanes of less than 1.50 metres [that] provide a safe and convenient facility for cyclists” (pdf) to create a laughable cycle lane which ends just before you need it, crossing Richmond Bridge. Families ride together in Richmond. On the pavement, of course. 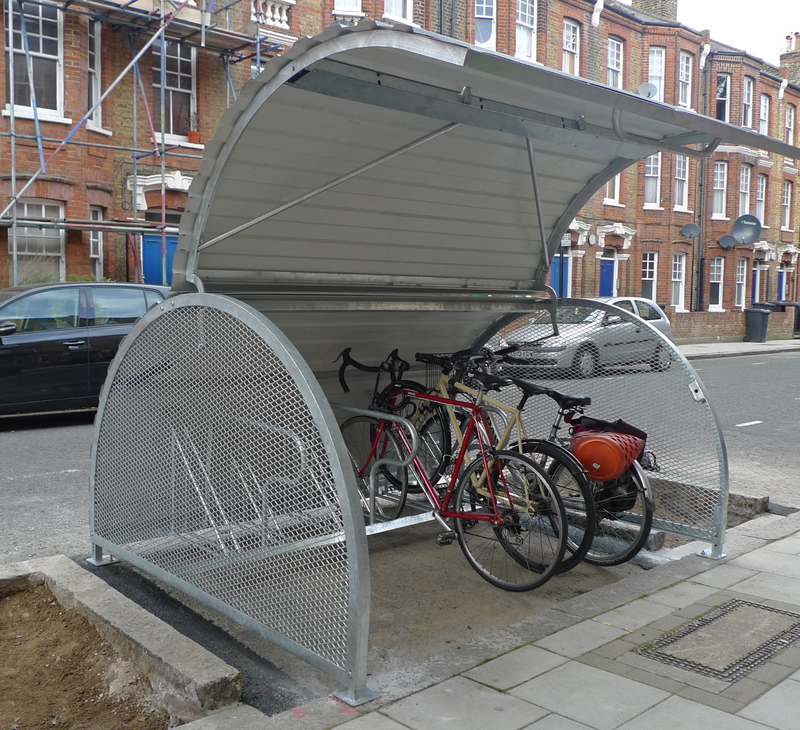 But if you really want to know about cycling in the borough, just look at how much effort has gone into Twickenham – and how much TfL money – for some wider pavements. 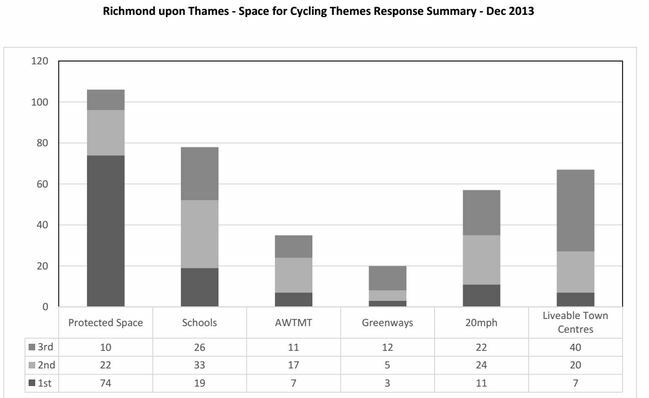 Richmond Cycling has spent enormous effort to try to help councillors and council engineers understand what might encourage cycling, but our appeals have fallen on deaf ears: Twickenham is going to carry on being a great place to drive through, and a terrible place either to arrive by bike, or to get through by bike. So, Darren – welcome to our borough, it’s a real shame that there’s so little positive news we can offer you. On 22 May 2014 the whole of Greater London will go to the polls to elect our local councillors for the next 4 years. As anyone who has followed the work of RCC over the past 4 years since the last election campaign, you will have see how councillors have a significant influence on the safety and liveability of our borough’s streets and town centres. 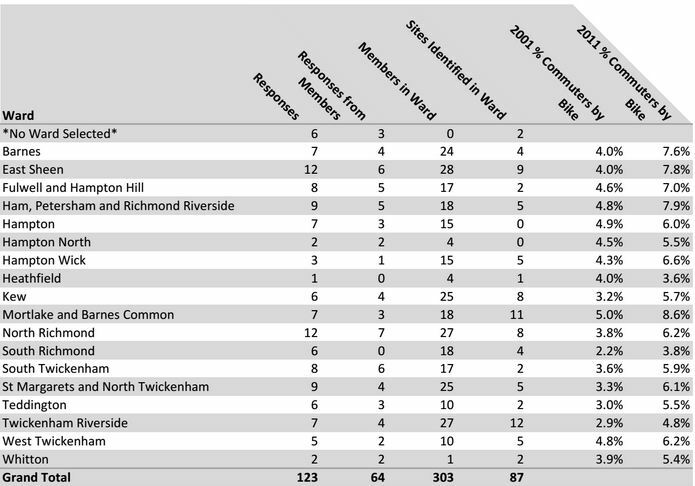 London Cycling Campaign has set the 2014 local elections as a campaign priority and plans to ask every candidate in every ward across central, inner and outer London to support pro-cycling policies and measures. We have started to collate what the issues are at a ward level and LCC carried out a survey at the end of last year to identify what people felt was important in the ward they lived and cycled in, based on six policy themes. We’ll report back more on the results and how you can get involved in targeting the candidates for your ward to help you select the person who will do the most for your area. LCC have set up a system that will allow you to email each candidate in your ward. Many of the wards are determined on just a couple of votes, so it is really important you register to vote (deadline appears to be 14 April as registers updated once a month – you can register here or use Richmond council’s form. Richmond Council allows you to check online if you’re registered) and turn out on the day and share with all your friends and family who live in the borough and want it to be an even nicer and safer place to live and cycle in. One interesting aside from the survey was the % commuters by bike statistics that LCC included. While it is encouraging to see an increase in commuting by bike between the 2001 and 2011 census periods (and Mortlake and Barnes Common leads the way not with nearly 9% commuting by bike), it is a shame to see that in Heathfield ward, the number cycling to work has fallen and is now the lowest in the borough, although South Richmond isn’t far behind.